Buying a House in Georgia? Selling a House in Georgia? Tired of Selling the Traditional Way? How Does a Lease Purchase Work for Me? April Miller told us in person >> "Being a single mom I did not think I would ever have my own home. No one would even look at helping us. This is a dream come true! Thank You!" Jessica and Tim T. recently said >>"You guys are great to work with. No one has ever tried so hard to help us before. We thought we would never get a big new home of our own. Thanks AOHS!!" Vinson and his family stated >> "This is our first house. It is a blessing. Our family would not have this house if it were not for you. Thank you and bless you." Vickie Patterson told us >> "Thank you A O Home Solutions for helping me sell my house on a Lease Purchase Quickly. I had to move in just days and you guys got it done without a problem. No more mortgage payments or electric bills. I do not know how I would have held onto the house without your service. I got full price and full service. Even after I moved out of State, you handled everything. You took the stress off of me. I appreciate it." 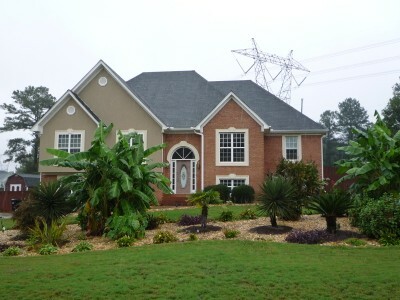 We Sell and Buy Houses in Georgia. and You can Buy homes in Georgia without the stress or hassle of bank financing! and close either way in less than ONE week! You can buy or sell a home today effortlessly with our quick and easy proven system! A O Home Solutions has been buying and selling homes in the area for over a decade! You fill out the form below, or call us with the information that we need regarding your house and asking price. Or, download the form to sell your house now here, and send it to us through fax or email. We contact you and discuss some possibilities, and if we can agree on some basics, we make arrangements to come see your house and make you two or more offers to buy your house. You then are able to make a decision based on what we have told you and we can proceed to closing, or not! Your decision--no stress, no hassle! It is your home to sell! We're familiar with them, and we want to work with you! We do not have to buy houses at a large discounts to make the deals work for us at A O Home Solutions. It really all depends on your needs as a seller or the condition, area and price of your house. In fact, in many cases we pay full retail or asking price. It all depends on the individual situation. We have been doing this for over a decade and we have tons of positive referrals! All of our intentions are made absolutely clear to you before we agree to do anything. Every step we make is in writing. Most importantly, you’re never obligated or pressured to accept any of our offers. So, now that you know what we can do for you, let’s get started by providing us with the information about your house. Please submit the form below, or call us to talk with us directly ( 770-480-0209). We look forward to providing a solution to sell your home that works for you! Want to buy a house, owner finance, lease purchase, rent to own, or rent a home now? Just download and fill out the application form here and send it to us through fax or email, or call us with the information. We will look over the information you provide and determine what possibilities we have to create a solution that works for you. We will contact you and discuss the possibilities, and if we can agree on some basics, we can make arrangements to sell, lease purchase, or rent to you the house of your dreams right now before month's end! We have done the market analysis to determine the best possible price and/or terms we can offer you. You then can make a decision based on what we have told you, and you can proceed to buy, owner finance, lease purchase, or rent the home (according to our listing). It is that simple! Pick out a house here right now and let us help you! What We Do at A O Home Solutions is this >>>>We buy houses. We Sell Houses. We buy houses in Atlanta Georgia, ugly houses, foreclosure atlanta georgia We help you stop foreclosure, avoid foreclosure and do Short sales. We understand atlanta real estate, for sale by owner, rent to own, lease purchase, owner financing, FSBO, probate, estate, homevestors, buy my house, condemned house, Section 8, rehab, forbearance, fulton county, dekalb county, cobb county, gwinnett county, cherokee county, forsyth county, real estate link. We can help you sell your house quickly, sell today, vacant house, relocation, divorce, tired landlord, tax lien, job loss, debt relief, irs lien, judgement, title problem. We have rent to own homes, rent to own homes listings, rent to own house, rent to own houses, rent to own home, rent to own housing, rent to own, lease purchase homes, lease to own homes, owner financed homes, owner financing, owner financing homes, lease option homes, in and around Atlanta,GA. We do all kinds of lease to own, lease with option to purchase, rent to buy, house,houses,properties,property,lease to buy,owner finance, owner financing, deals with good or bad credit,Nationwide, and in Georgia, Mcdonough, Stockbridge, Covington, Locust Grove, Hampton, Locust Grove, Ellenwood, Riverdale, Jonesboro, Jackson, Conyers, We do option to buy, sell lease purchase, sell rent to own, sold, sale, We understand real estate, real estate agents, realtor. We work all over Georgia including Henry County, Newton county, Clayton county, Rockdale county, Butts county, Hall County, Fulton County, Dekalb County, and others. January 2015 we purchased the domain name www.sellhousegeorgia.com but have no association with its previous owner or business. Our company name is A O Home Solutions, LLC. Can we be of help to you? Please call as we count it a real privilege to serve all our clients.